Paper Crafty Creations: The Paper Nest Dolls Challenge Team: "Sewing Fairy Sophie"
The Paper Nest Dolls Challenge Team: "Sewing Fairy Sophie"
Hello everyone! I am back today with another creation using an adorable image stamp from The Paper Nest Dolls! 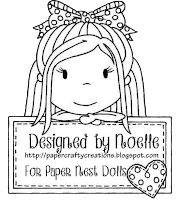 You can enter a creation of your own in The Paper Nest Dolls Anything Goes Challenge #09! For this project, I used "Sewing Fairy Sophie". Isn't she adorable?! I colored her with my copics as usual. The patterned paper I used is from the Carta Bella "Sew Lovely" line. The die cuts I used on this card are made by La-La Land Crafts from their club kit and distressed in "Vintage Photo". Thank you for stopping by today! 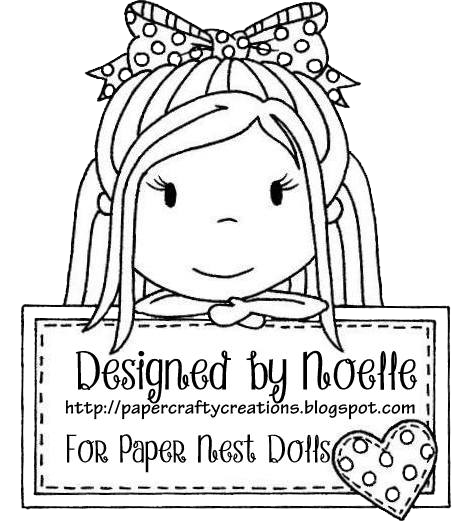 Be sure to check out The Paper Nest Dolls and all the cuties she has to offer! She has also just opened a Digital Shop ! Feel free to leave some comments and have a great day! Its a lovely creation Noelle i love it.